Processing time is the time it takes before your order will be packed and posted. Most orders are packed and posted within 24hrs – 48hrs of receiving payment. Excluding weekends and public holidays. 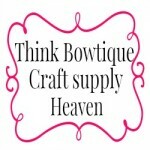 Think Bowtique is located in Ingham North Queensland. About an hour north of Townsville. Pay Pal, credit card and bank deposit. All parcels are posted express post satchels. Orders over $150 express post is FREE. Parcels are posted in Express post satchels with Australia Post and have a tracking number. All tracking numbers are emailed to the address you provide. If you would like Signature on Delivery/Registered post added please make sure to purchase this option when you check out or contact me if you have just placed the order and would like to add it. **All products on our website are covered by these postage costs. **Express post is NOT overnight. Express post parcels normally arrive within 2 to 3 Business day to most locations in Australia once posted. If you are very remote postage may take longer. We also offer letter rate postage for items that will fit in a letter/envelope rate box. The box will fit through Australia posts 2cm slot. If your order can not fit in the A4 letter/envelope rate box then your order must be posted as a parcel with the above pricing. Letter rate postage charges also include the cost of the box. If you pay Express post satchel and would like normal letter in envelope rate (if your order will fit) please select YES in the box. If you pay for express post and your order is posted letter rate you will be refunded the overcharged postage. *Letter Mail can take anywhere from a few days to a few weeks to arrive. Depending on Australia Post. I take photo's at the post office of all envelopes once Australia Post attaches their sticker. You can request to see this photo showing the address your order was posted to and the time/date stamp it was posted. Any item thicker than 15mm will be posted as a parcel express post. All items in your order need to fit in this box to be posted letter rate. and asked if you want to cancel your order or pay the extra postage. I am happy to offer letter rate postage however in the rare event that the items gets lost by Australia post I will not replace the goods. Letter rate postage has no tracking or insurance. If you wish to have your items replaced in the rare event that Australia Post does not deliver your order please purchase registered post. We post orders to New Zealand the website will not charge you postage. *Select bank deposit and I will receive a copy of your order and will email you a shipping quote. *If you are happy with the shipping quote you can than pay your order with pay pal or bank deposit.